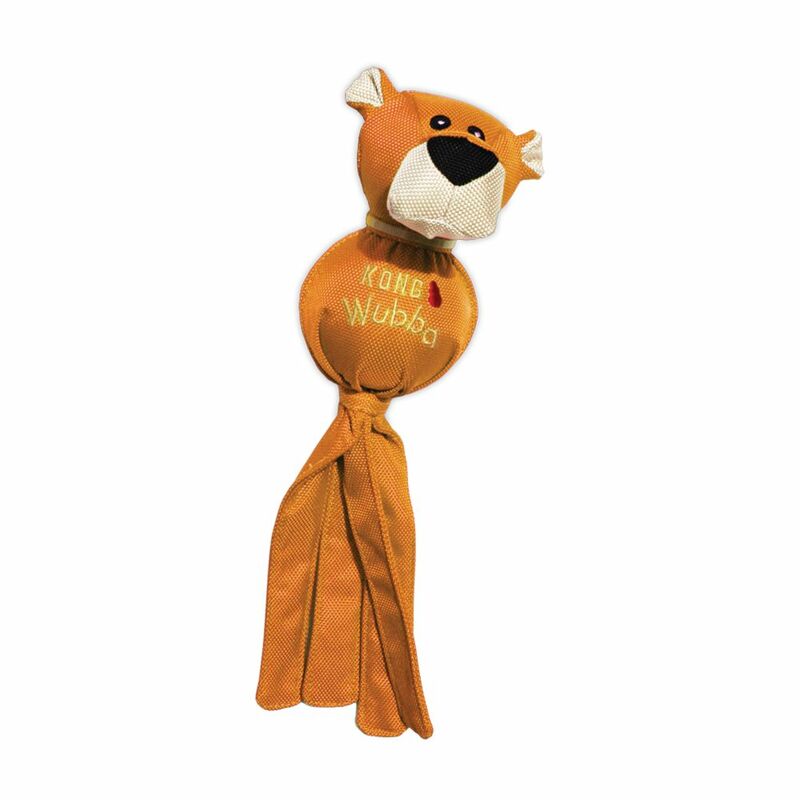 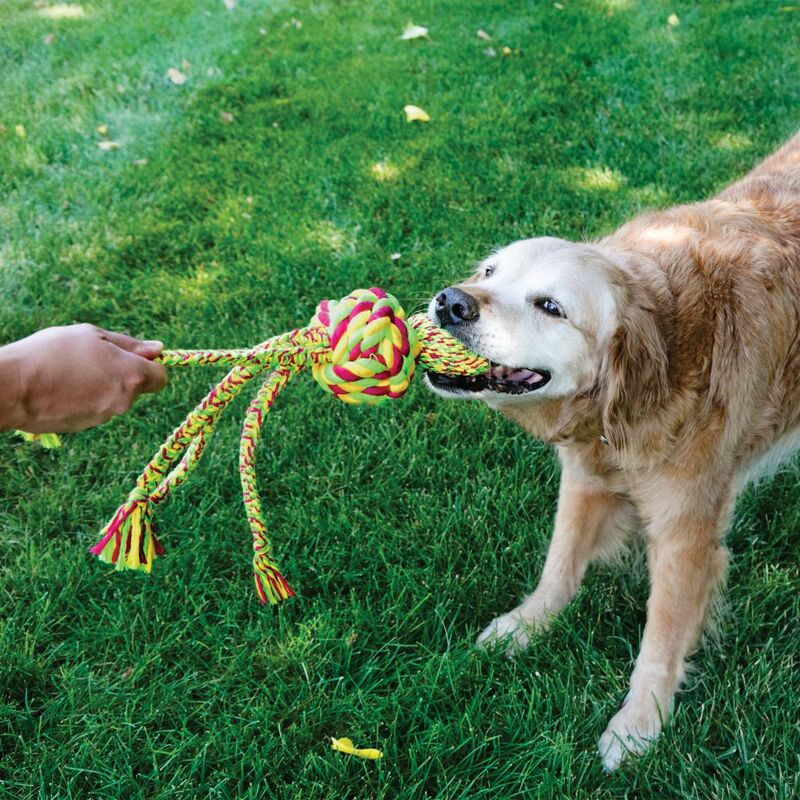 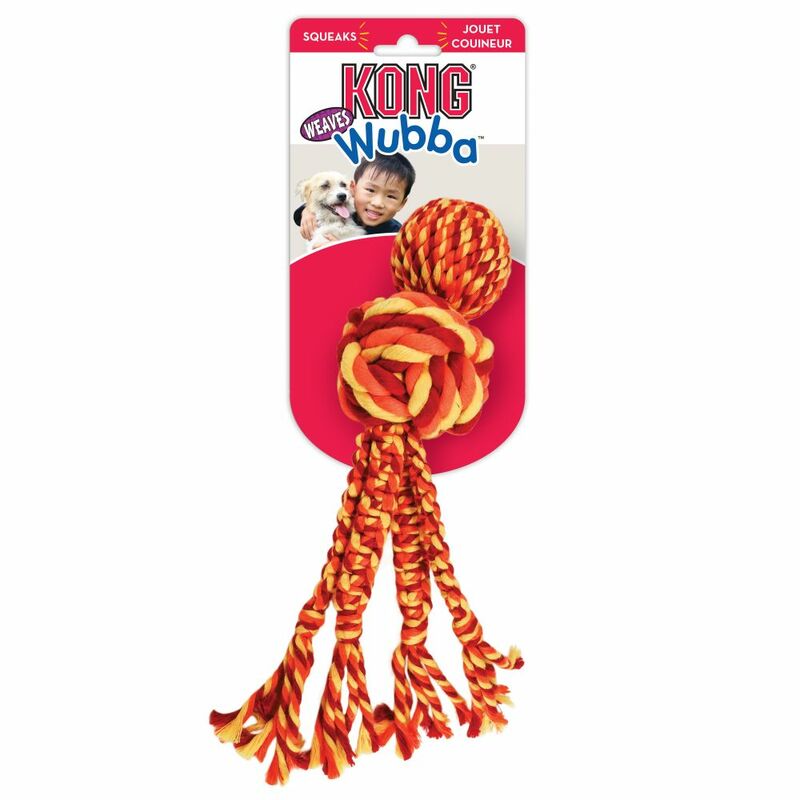 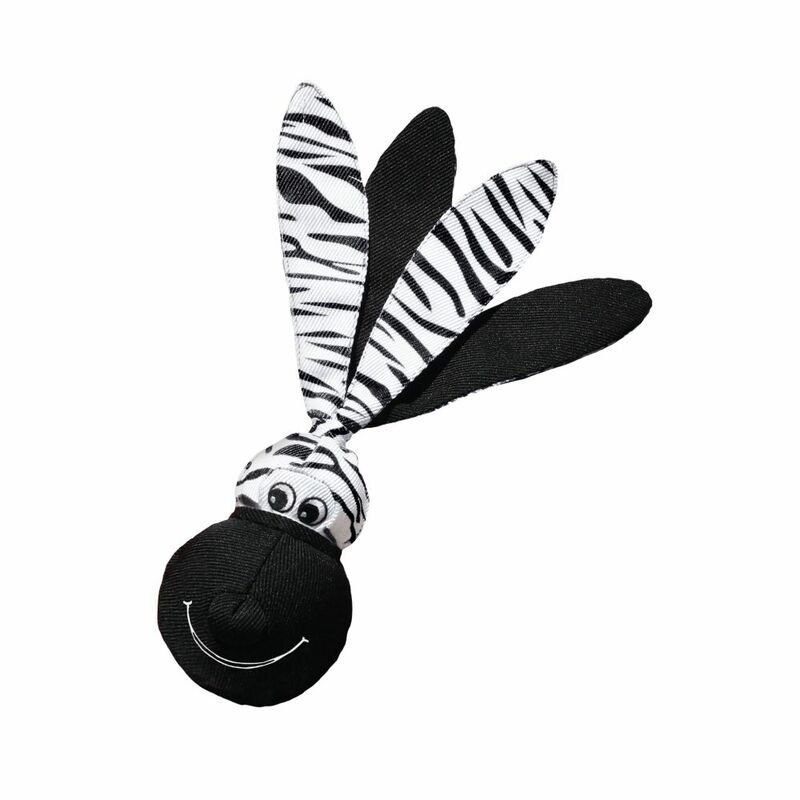 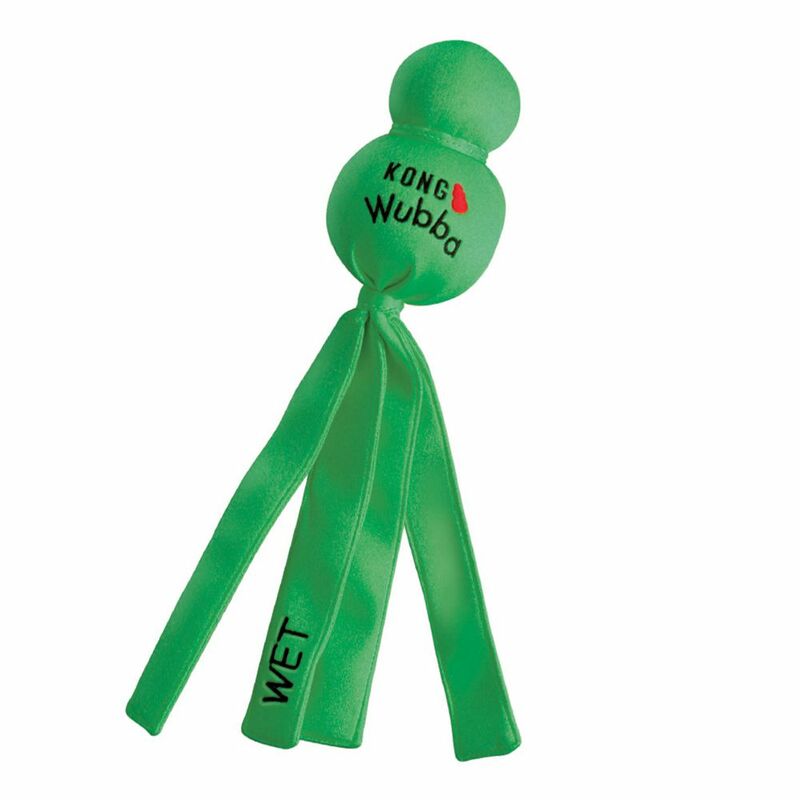 The KONG Wubba Weave with Rope combines the thrill of fetching and tugging with a long-lasting chewing experience. 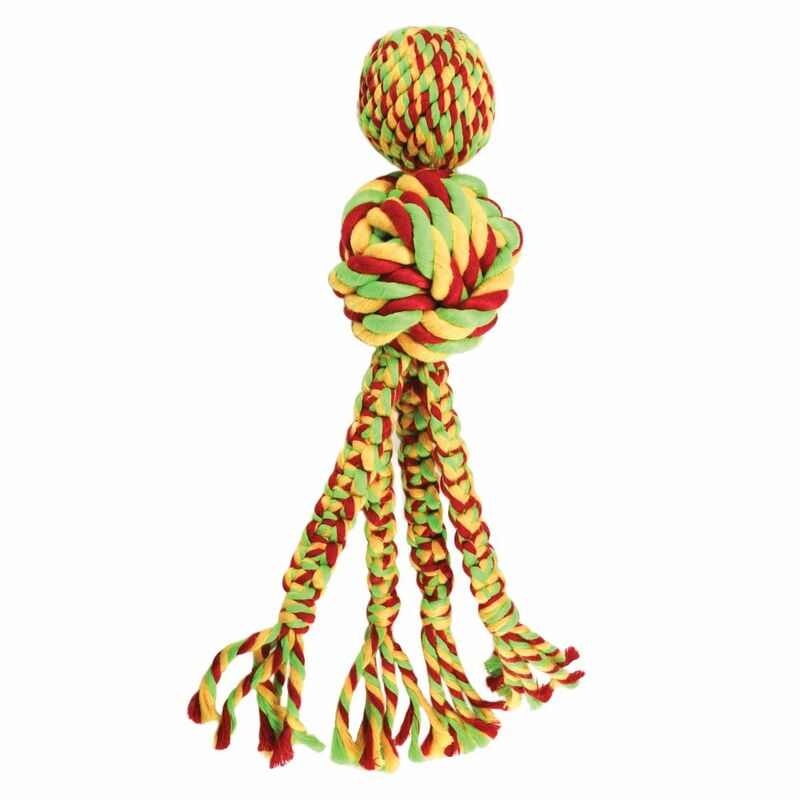 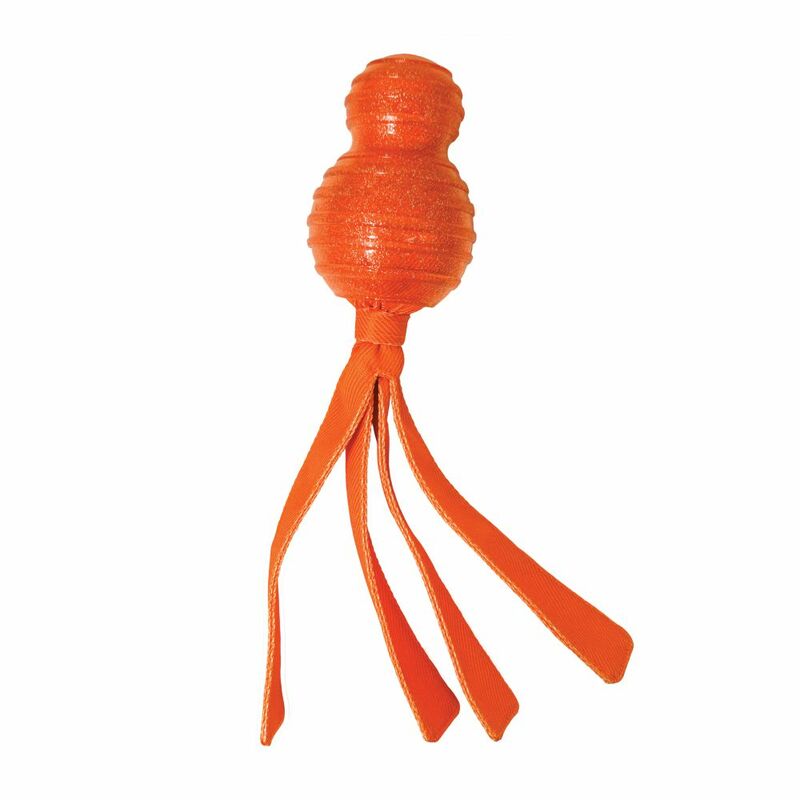 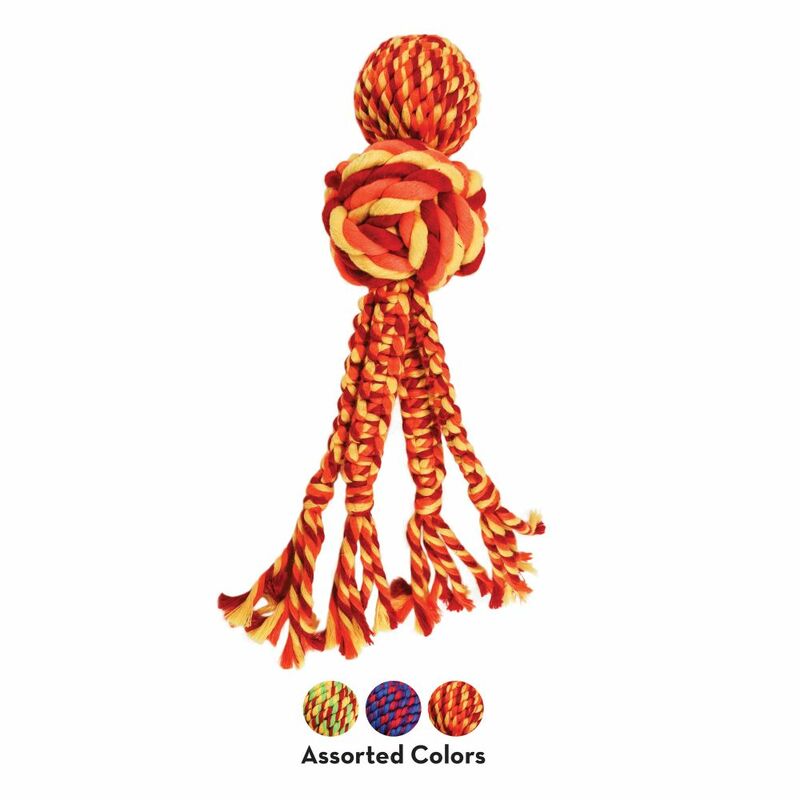 The twisted knotted rope is woven to provide a long-lasting outlet for natural chewing instincts while also helping clean teeth andums. 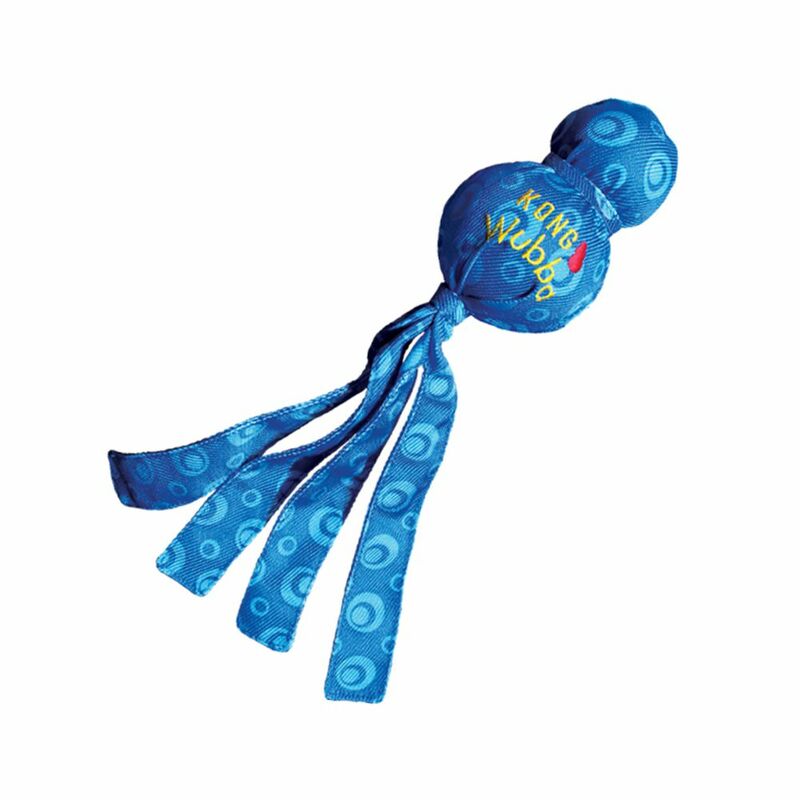 The long tails also made with woven rope are ideal for natural thrashing fun. 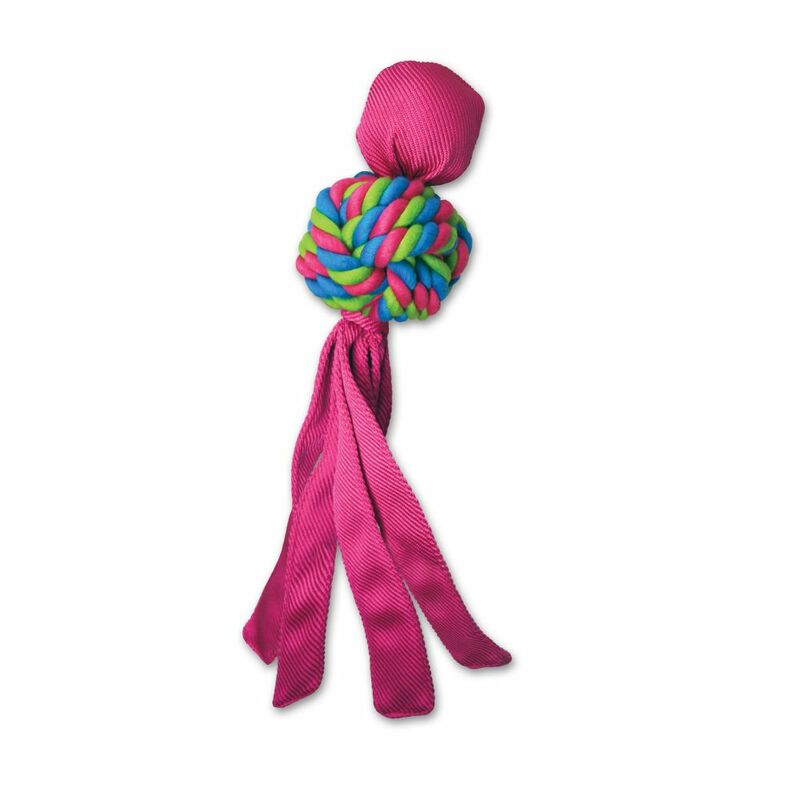 Adding to the engagement is a squeaker that entices for even longer lasting play sessions.reat for both indoor and outdoor play.